Adrian Sng has been in the industry for over 20 years working with the likes of Saatchi & Saatchi, BBDO, and many others. 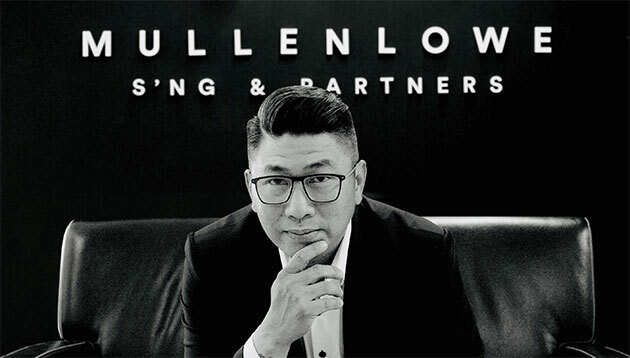 But last month, in a surprising move, the CEO of MullenLowe Malaysia decided to take on full ownership of the agency renaming it to MullenLowe Sng & Partners. When asked by A+M, Sng said the move was made to offer the agency greater agility in the Malaysia market and be more responsive to clients’ needs. In an interview with A+M, Sng said that the decision to buyout the 35-man agency came to him at the beginning of 2018. Today, he tells us his plans for 2019 and beyond. A+M: Besides having greater agility in the Malaysia market and being more responsive to the needs of clients, why did you choose to buyout the agency? Sng: It makes a lot of financial sense from both my end and the Asia Pacific region as a whole. If you look at the exchange rate against the US dollar, whatever contributions the agency makes is not that significant globally when you are still with the group. Also, the group carries the risk of the agency. In Malaysia, the business can be rather tricky sometimes. You can win a piece of business today but you will not realise it in six months because of the change in exchange rate or contractual reasons. There is always the risk of the agency not doing well, so the group carries that risk. Any agency that doesn’t do well pulls the region down as a whole. So from an Asia Pacific perspective, [the buyout] makes sense. I have been in the industry for the last 26 years and I pretty much know the business inside out. Although there’s a lot more for me to learn, I have the connections locally to try and win more business for the agency. And truth be told, it’s a great retirement plan for me so at least I get to drive the agency moving forward and create a succession plan for the agency to continue running. A+M: You spent most of your career working at network agencies. How are you preparing yourself to lead an independent firm? Sng: My most immediate and important plan is to stabilise all existing businesses. Any growth in the agency will need to come from growth in your client list; you can’t grow [the business] without clients coming in. I am also looking at additional revenue streams and this includes digital services other than social media. That’s a revenue stream which I’m quite excited about, the planning side of the digital business. My first step to growing the agency is to grow its reputation. I am setting aside more budget for creative and effectiveness awards to help grow the agency’s reputation. As for the kind of hires we will bring in in future, they’ve got to be digital natives who also have strategic, traditional minds of basic communication. We say it’s basic but a lot of people still don’t understand the type of people we are looking for. That’s also the type of training we provide internally – me and my senior management team try to impart as much knowledge as we can to the team. A+M: How have your past experiences prepared you for this role as the leader of an independent agency? Sng: Independent agency or not, I don’t think it makes a difference. The only difference leading an agency now is that I’ve got a free hand, I’m able to make calls I see fit. Running an agency still requires you to do all the basics, such as financials, growing the company’s revenue, boosting staff morale and employee happiness. These things still remain the same. It’s really all about how you have the freedom now to make the right decisions for the people and the business. Now, I’m able to reward the people that deserve to be rewarded in my agency and also ensure my clients are well taken care of. A+M: How will be different now since there is a local leadership in place? Sng: I don’t think the agency will be any different because Asia Pacific or Singapore was never involved in the operations here in Malaysia. The only people that actually spoke to me were from the Asia Pacific level so I don’t think there will be a difference. There is an existing culture within the agency that has been set. A+M: How did your clients react to the buyout? Sng: Generally congratulations all round. There is no change from clients and I am staffing up against the businesses that should be staffed up. A+M: How do you plan to build a team? Sng: I will be adding key personnel to the creative and account management teams to ensure the business gets proper support instead of working on a tight team. The team has been stretched for almost a whole year. 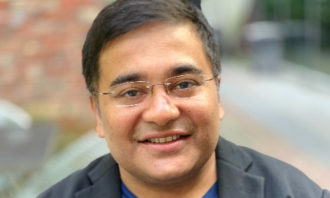 I’m making quite a lot of hires and have hired Debopriyo Bhattacherjee, who was previously from Havas, in December 2018, as strategic planning director. Having a planner is an added value. Since my Saatchi days, I’ve operated without a planner and will work with a few others in my team to crack the strategy during pitches. Having one makes life a lot easier and simpler for me and then I get to concentrate on what I need to do which is to grow the agency. There is freedom to hire now and no worry to get approval. However, the hires still need to make solid business sense. In terms of hiring people against revenue, you don’t want your cost structure to be too heavy as it puts a lot of burden on the business and you have to increase the top line. When you manage cost, you do have to worry about increasing the top line. That’s the model in most global agencies and it’s a good practice as it keeps your profit margins in check. In terms of agency size, we will definitely expand when we win new business and if the teams are already at full capacity. We will hire against the new piece of business. In the past, we win new business but the margins are not fantastic and we have to stretch the existing employees to work on it. What happens then is you get a lot of jaded people. My goal is to make sure the business is equipped with the right people and because I don’t need global or regional approval, I can make those calls. That’s the biggest change for me now that I own the agency, it’s also the biggest relief I have. A+M: What is your vision for the agency post buyout? Sng: My vision is for the agency to grow and become one that is formidable. I’d like for us to walk into a pitch and there will be a sense of “Okay, they will be competition”. It’s the same vision I gave them when I walked in. When I joined, the agency was struggling and I told them that in the first year, we will need to stabilise our ship. In the second year, we need to grow. We are still MullenLowe and if you look at the manifesto of MullenLowe, it has a lot of strong qualities that I absolutely buy into, such as punching above the weight, choosing partners you want to work with and not because they are paying us money. Post buyout, there have been some changes in the business that I have decided to retain and release. I have let go of two clients – I won’t mention names – which weren’t the right kind of partners for the agency from a revenue perspective or from their lack of respect for us.